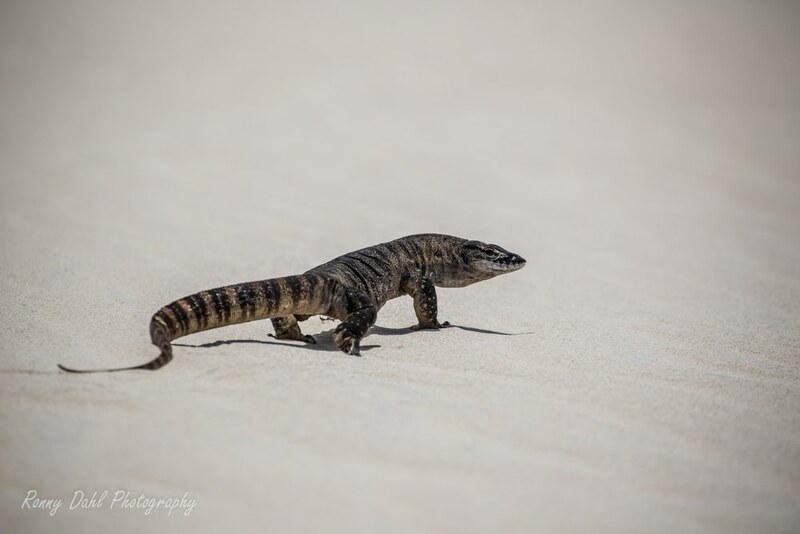 You may very well have heard of the giant sand dune 'Callcup Hill' this is the most challenging dune with no real chicken track we have come across so far! 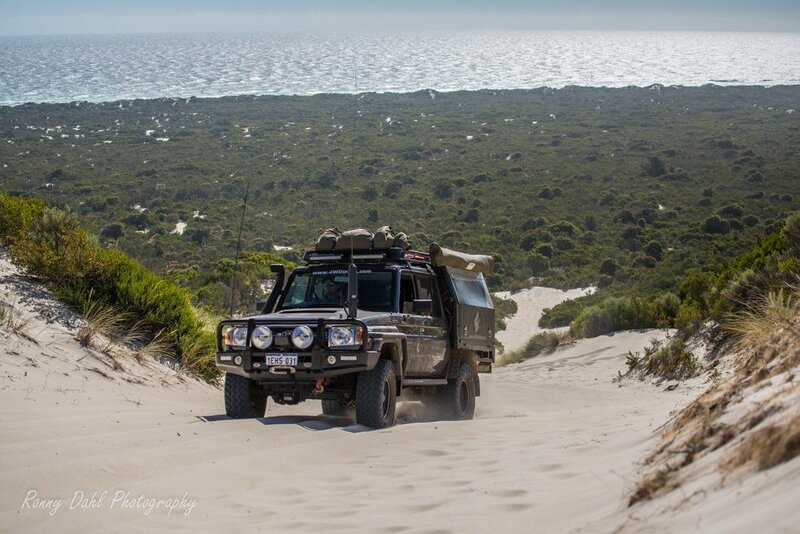 This hill has claimed many vehicle clutches and engines in the past, due to the length of this steep soft sand dune system, Callcup dunes has a three stage climb which starts right down from the beach. 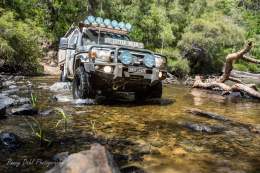 However with the correct tyre pressure, driving skill and average to good track conditions the hill can be conquered by most 4WDs but the vehicle must have low range 4x4 otherwise you can forget it! 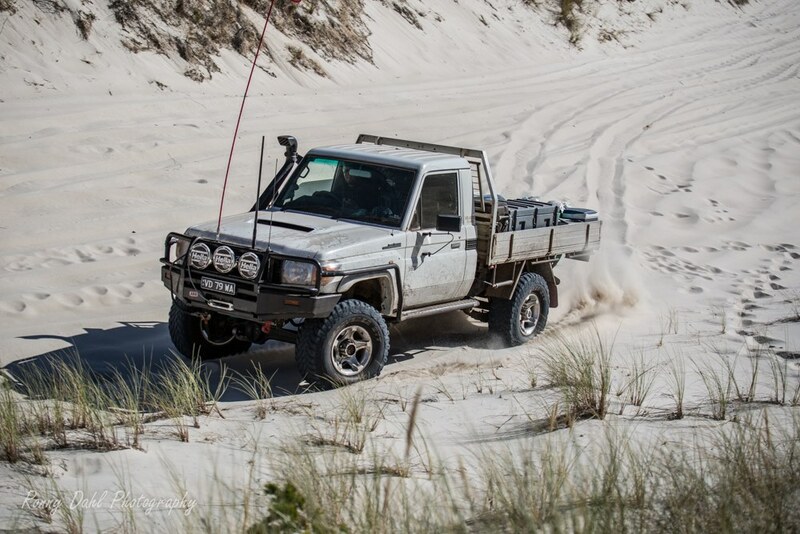 Size: Track length including Yeagarup dunes, Warren beach, the hill and sand tracks is about 25-30km of soft sand so allow for double the fuel consumption. Before we get too much into the Callcup Hill part, the journey actually starts from Yeagarup Dunes which is at the end of Ritter road (see GPS points below). 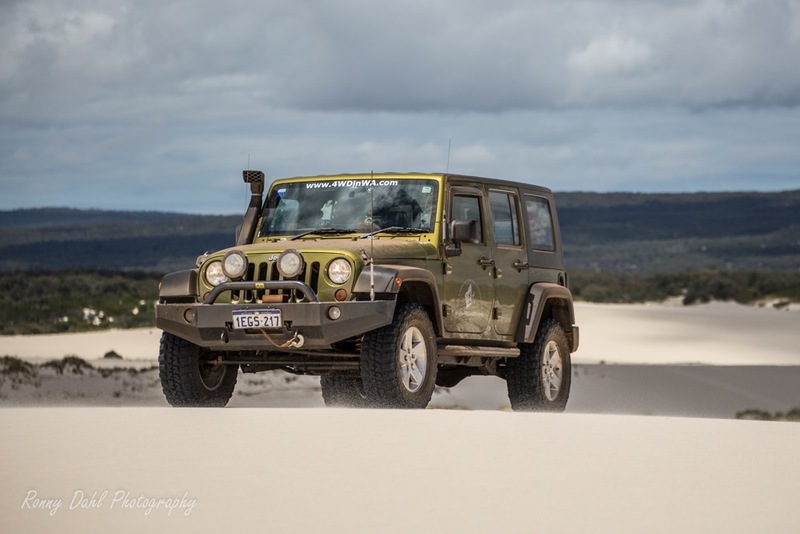 This was the fourth visit to Yeagarup Dunes for me and half of the crew that joined us had been there a few times before. 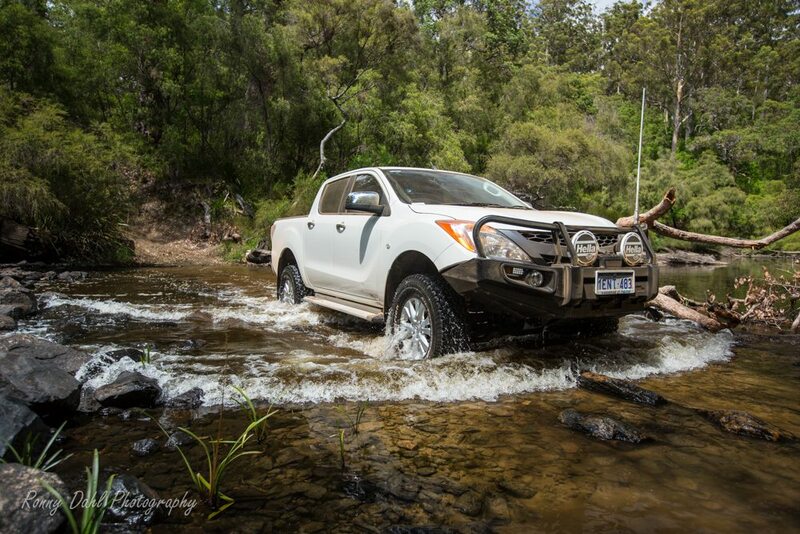 We took the scenic drive through Warren National Park via Barker road which took us through the Karri forest and a river crossing. By the time we got to the Yeagarup park fee station we opted to air down again as 25 psi from the forest tracks would be too high. 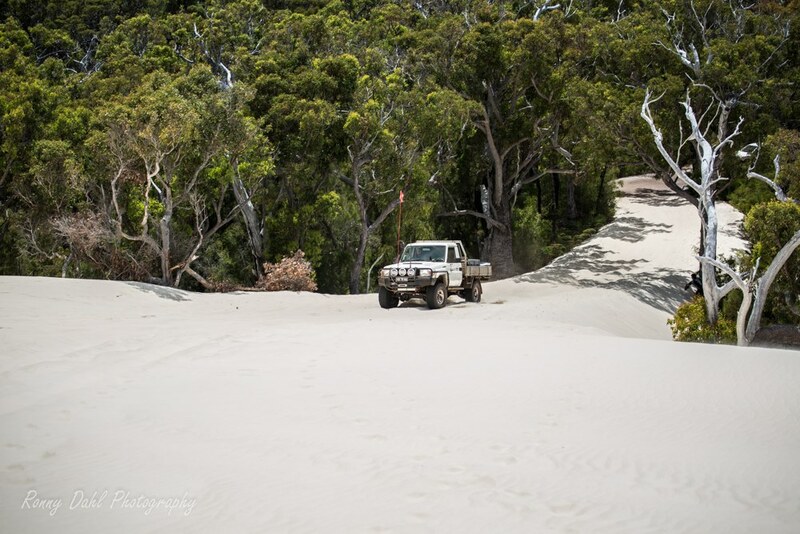 From experience 10-15 psi is the best range for Yeagarup and Callcup-hill dune systems which also include the soft Warren beach. 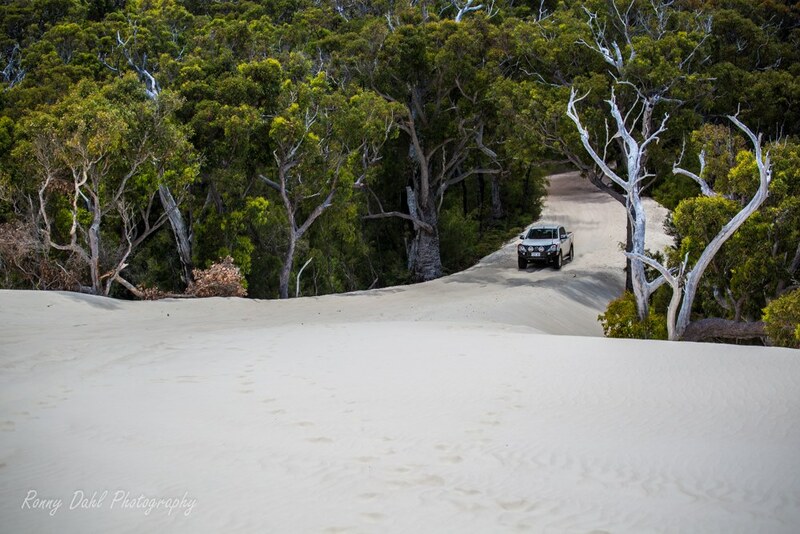 Once we had aired down we hit the entrance of Yeagarup dunes which is the most spectacular way to enter the dune system, straight from the lush green Karri forest and onto the white sands of Yeagarup dunes. There is a nice launch pad at the base of the entrance which makes for an easy climb. 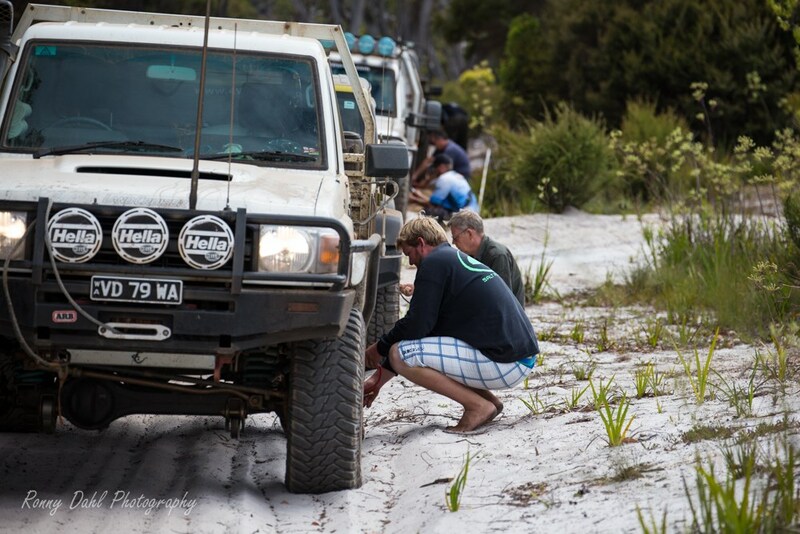 If you are having troubles here then let your tyres down some more, if you are still struggling but do make your way up think long and hard before descending on to the beach later as you may not get back up! Once up on the dunes it's quite a short drive across. 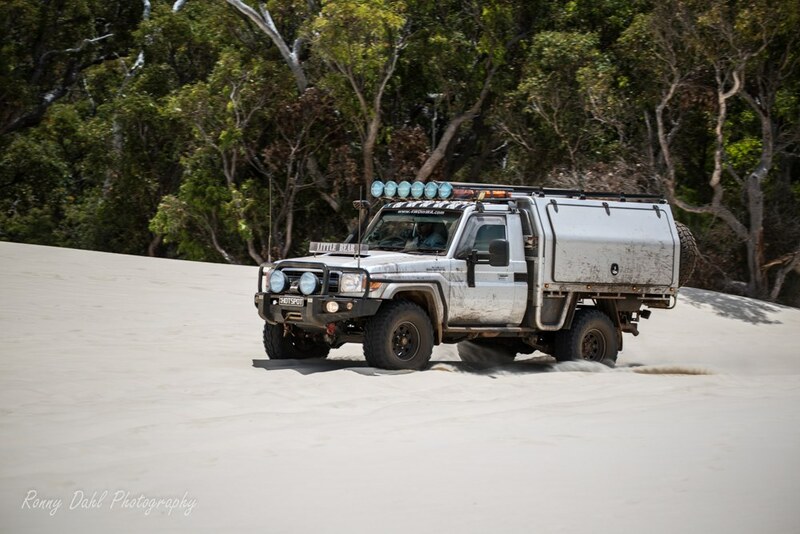 We deviated from the markers towards the end to take a few snap shots of the trucks on some sand dunes with commanding views. While driving within the markers keep left as you would on the road and keep an eye out for oncoming traffic in the horizon. 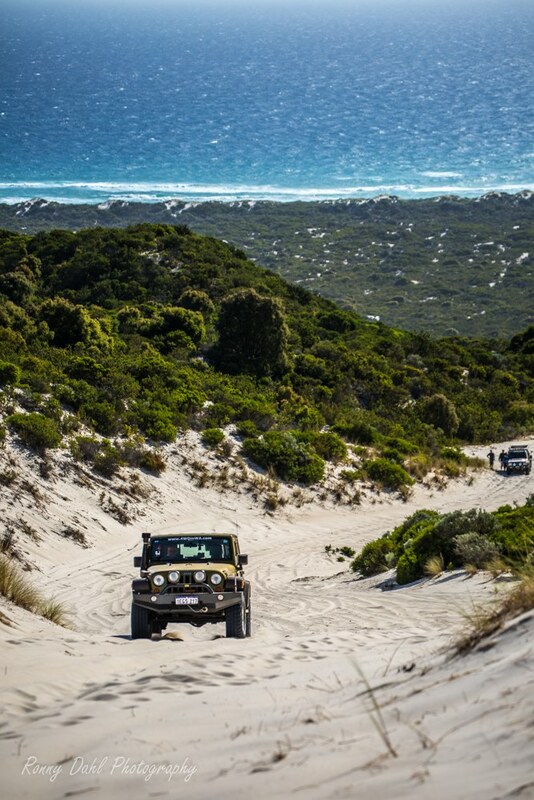 After crossing the dunes head for the beach via the sand tracks, (there is only one track to follow). Once on the beach you must head left (east) towards the Warren River which has to be crossed in order to reach Callcup-Hill. Obviously only cross if you think it’s safe and many times it won't be! 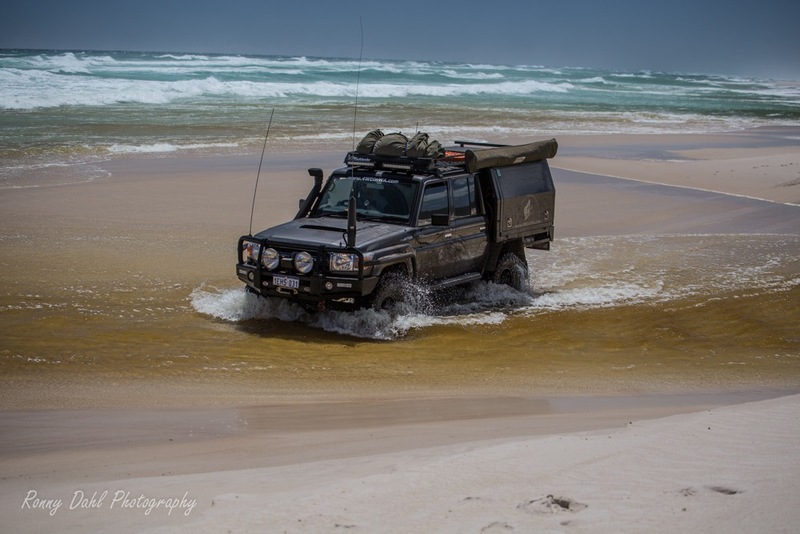 Sometimes you can cross the Warren river mouth by either carefully snaking through a sand bar path in the middle, crossing straight through a shallow section, crossing via the actual beach/shoreline timing the waves or not at all! Regardless of your decision we recommend you study this link first! A short drive further east is where you can access the first part of Callcup hill and this is the beach entrance. Depending on the tides this can be quite easy with a bit of a run up and there are two tracks to choose from (left side easy, right side difficult). 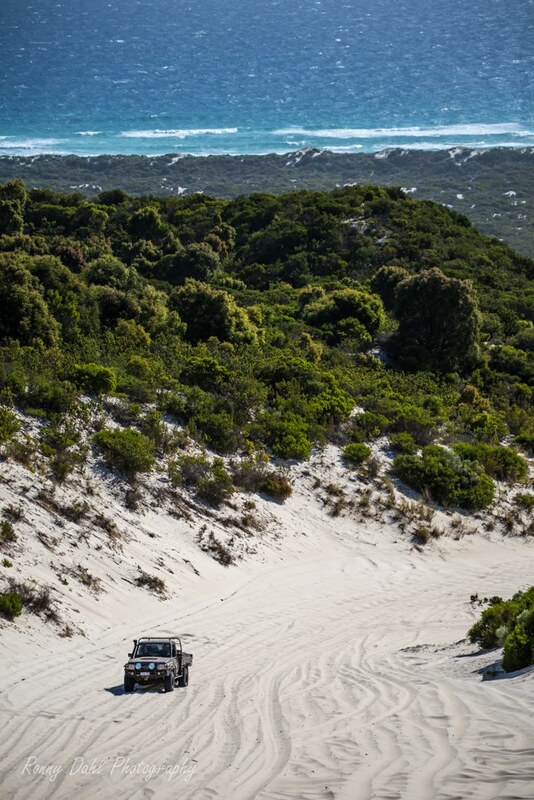 Once over you will be climbing up the Callcup dune system via a single sand track towards the main event which is visible the entire way. The hill has two sections (not including the beach entry), the first section is a warm up but can still be very difficult depending on a lot of things (tyre pressure, vehicle, weather and just after busy periods e.g. Holidays). Callcup hill part 1 will in most cases require lowrange 3rd gear in high revs all the way to the top, the bad news is if you don't make it up you will have to start from the very bottom again which is a long way (about 250m). 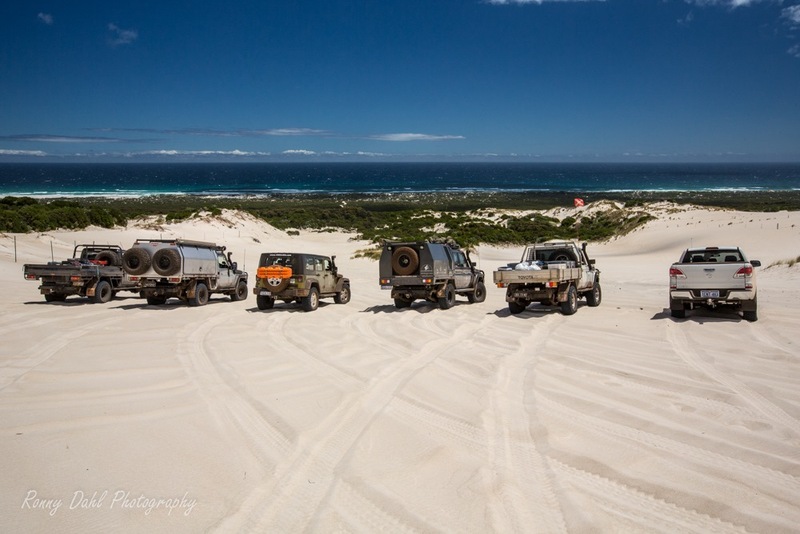 The good news - when reaching the top you get to reset and launch again for the second part which is even longer (about 300m of soft sand dune). It's a great feeling conquering Callcup Hill and should be on your bucket list especially if you are local to WA. Below are just a few things that can cause you to come undone having to start from the bottom again. Changing gears half way, too much throttle, too little throttle, crossing bumps, turning too much and of course too much psi. Tips for getting up both sections of the hill. After Callcup hill you will find a beautiful camp spot under the peppermint trees with plenty of shade and shelter from the wind. Most of the year it gets pretty windy here. As per usual in WA Camping fees apply along with park entry fees. 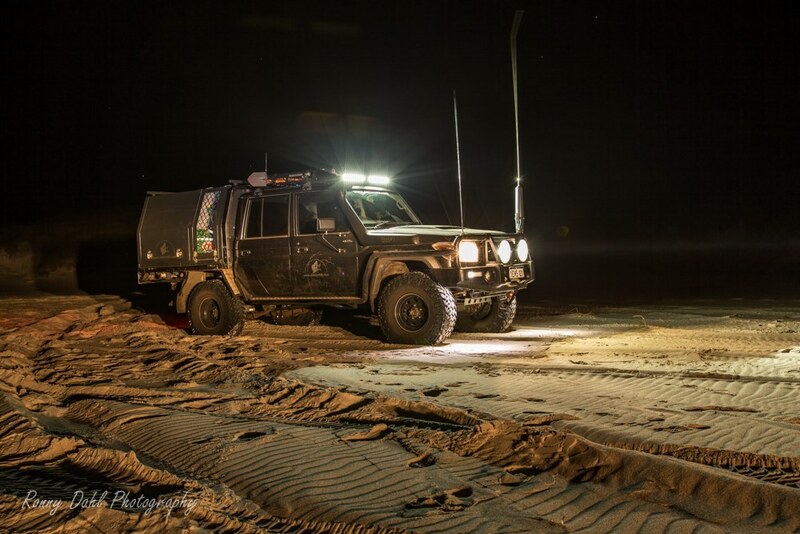 As we camped just 1-2 kms from Callcup hill we ventured back after dark and headed for the beach then back up Callcup hill again. 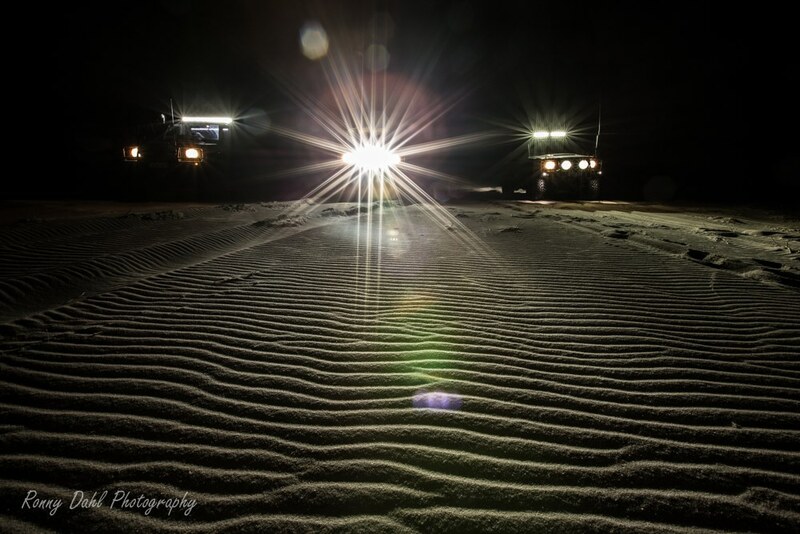 Normally during cooler temperatures sand becomes denser making it easier to drive on, however we found it more difficult as the afternoon winds had blown so much powdery sand over the dune that it had created a very fine and soft top layer! Camp grounds are run by DPaW. 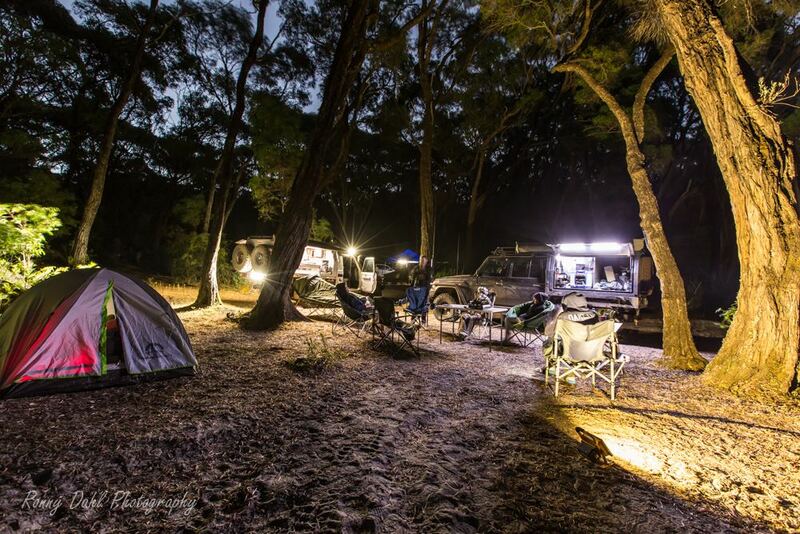 There are no bookings so during the busy season getting there early is paramount if you wish to camp there. Any other time it’s not very busy which is fantastic! Whatever you bring in make sure it leaves with you. Don’t leave a mess behind!! Camping fees apply for all grounds. 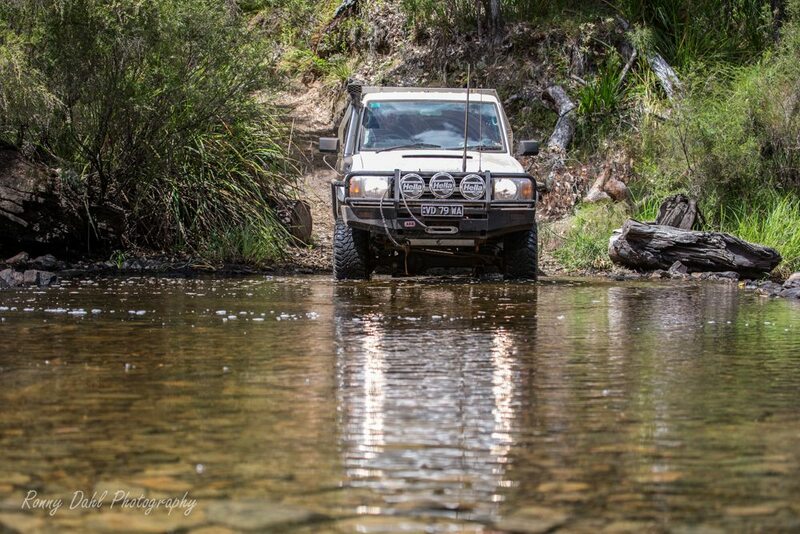 Medium (some skill or guidance required), crossing the Warren river mouth can be Impossible. 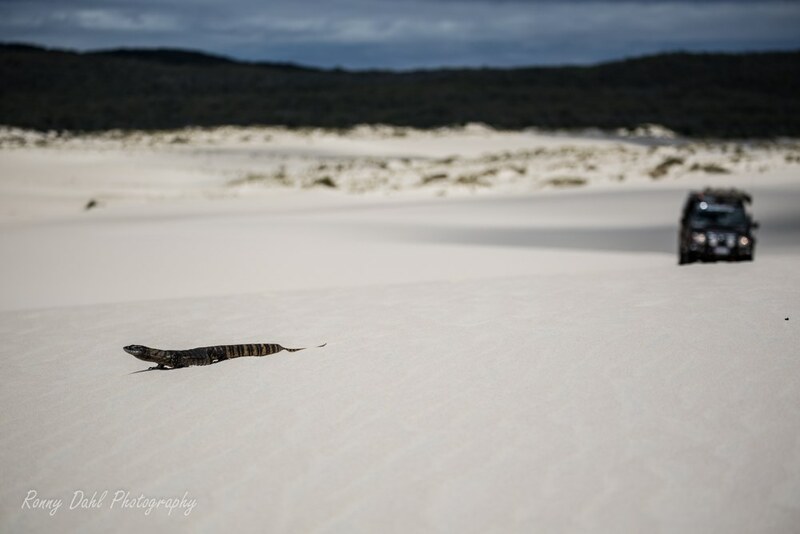 Sand Dunes, Sand Tracks and the Beach are all very soft. A psi of 10-15 or lower is common here. Going to the beach is easy, getting back up Yeagarup or Callcup is a complete contrast. 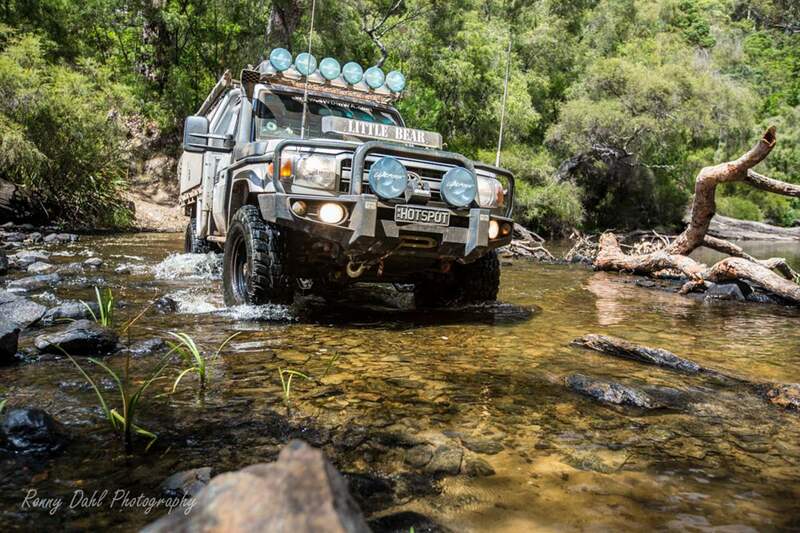 Please don’t attempt the river crossing by yourself or if you have doubts about it. Drowning the vehicle is a quick way to end a good trip in a very bad way, oh and check your insurance before heading to the beach. 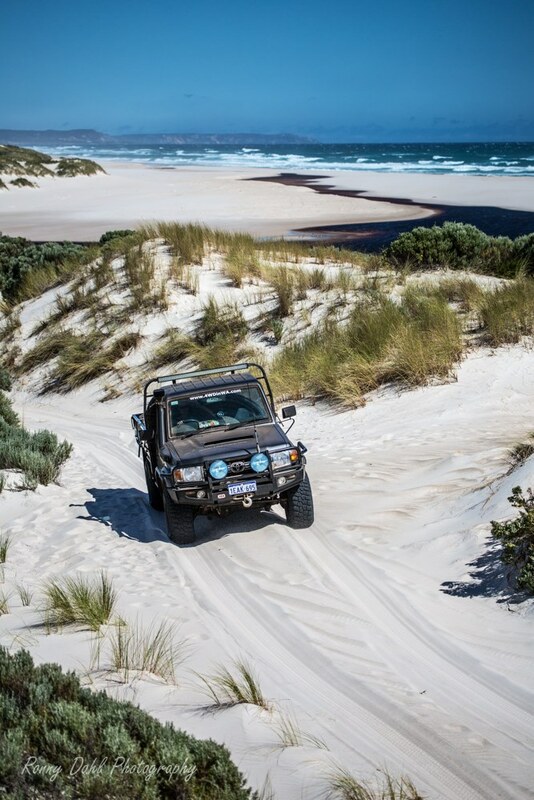 Most decent insurance companies will cover you off-road even on the beach. For information about How to enter the GPS Way-points into Google Earth see this video. 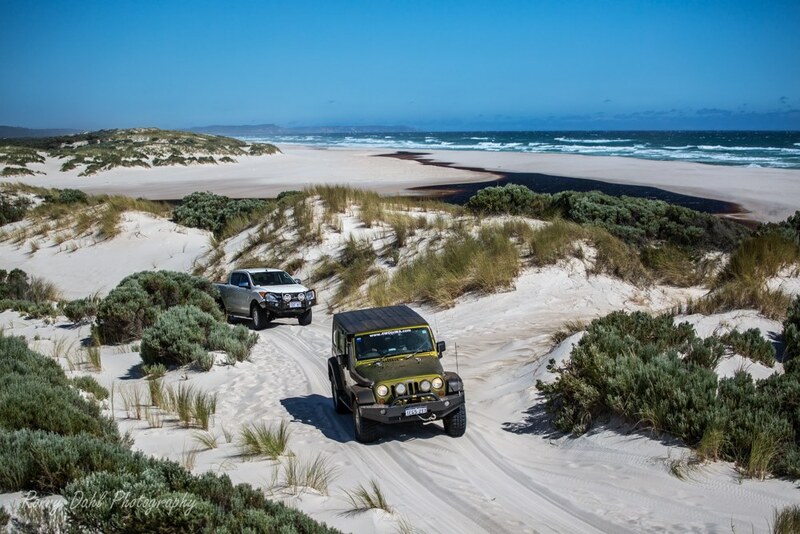 Leave Callup Hill And Go 4 Wheeling In Western Australia.